The Queens International Night Market returns to Corona Park for it's fifth season this Saturday, with an incredible line-up of food vendors representing over 80 countries. 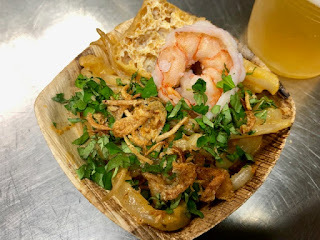 Since it began in 2015, the market has welcomed nearly one million visitors; many drawn to diversity and affordability of the event where all food is capped at just $5 dish. The price cap continues today with only a handful of $6 exceptions. This year the Market is selling a limited number of ticketsto two "Sneak Preview" nights on April 20th & 27th. 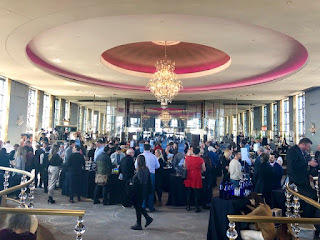 Guests can purchase a $5 ticket here for market entry before the public opening on May 4th, with a portion of the proceeds going to benefit The New York Immigration Coalition and City Harvest. The new Hudson Yards opening has completely changed my quality of life at work. What was once a desolate wasteland of crappy bodegas and a lone Subway sandwich shop, has now exploded into an actual food and drink destination. 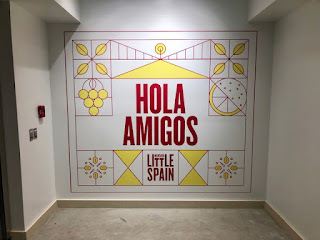 Restaurants by world renown chefs Thomas Keller, David Chang and Michael Lomonaco dot the upper floors of the mall while the incredible Chef Jose Andres took over the basement with Mercado Little Spain. I've heard this space being referred to as the Spanish Eataly as guests can eat, drink and shop as they peruse the different market stalls. 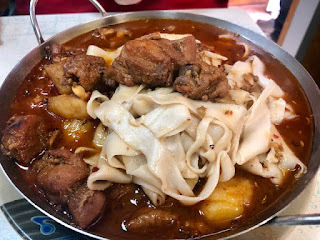 However the focus here is much more on the prepared foods than bringing separate ingredients home to cook on one's own. I was solo on my first visit so I focused on the tapas bar La Barra, where I could sit and order food and drink without moving around from kiosk to kiosk. My glass of Spanish Rose was absolutely delicious but at $17 a glass the meager pour I received was disappointing to say the least. 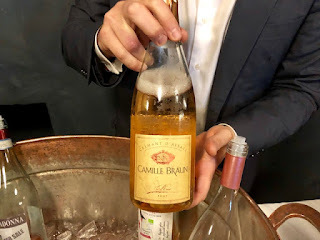 It's beginning to look a lot like Rose season and I'm kicking it off with one of my favorite pink bubbly wines, the Camille Braun Sparkling Brut Rose. This beautiful cremant comes from the Braun family whose roots in Alsace date back to 1523. It's made from 100% Pinot Noir grapes with aromas of red fruit, cream and biscuit with flavors of ripe strawberry, cherry and honey. It's absolutely bursting with fruit but completely dry with delicate bubbles a lovely creamy finish. This is the perfect wine for celebrating Spring, Summer or just sitting on the couch. It's New Brew Friday and we're chilling in the neighborhood with an Other Half Green City at Blue Smoke. This New England style IPA is brewed with Citra, Centennial and Simco hops giving it juicy, tropical flavors of orange and pineapple with a dry biscuit finish. 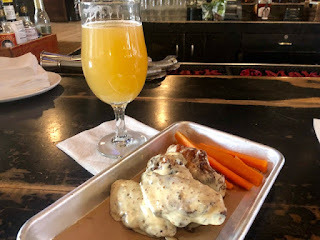 It clocks in at just 7% and is the perfect pairing with some of Blue Smoke's Alabama White Sauce Wings, which are half off during all March Madness games. Cheers to the weekend! 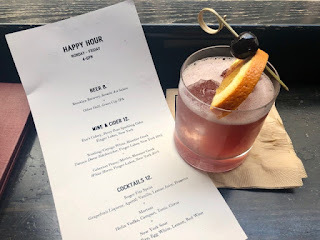 It's no secret Gramercy Tavern is one of my favorite restaurants in the city and now they've added a weekday happy hour, which just makes me even more in love with this beautiful spot. From 4:00 PM-6:00 PM each day the Tavern offers special prices on wine, beer, cider and specialty cocktails like the bubbly Roger Fitz Spritz with Grapefruit Liqueur, Aperol and prosecco and the frothy pink New York Sour with Templeton Rye, egg white, lemon and red wine. All the drinks are fantastic and there's also a small menu of bar snacks in addition to the daily tavern menu. What a great excuse to head to the Tavern a little bit earlier during the week!